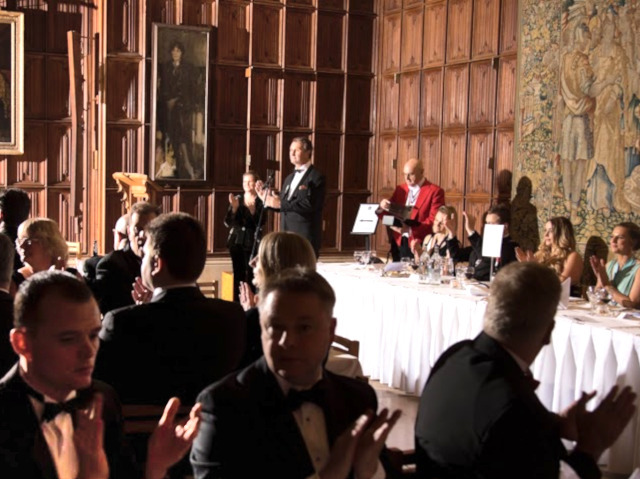 At the Cambridge annual dinner, held in King’s College on 7 December 2018, Dr Andrew Moncrieff, Hawkins’ Managing Director introduced the Young Achiever of the Year Award. The Council of the Cambridge Institute had renamed the award, The Karen Holmes Young Achiever of the Year Award. Karen was secretary to the Cambridge CII for many years, and had organised the annual dinner from 2008 to 2015 while Andrew was dinner secretary. Karen started work at Hawkins in 1985 and went on to become marketing manager. She dedicated much of her time to the Cambridge Institute and made many friends along the way. She died of cancer in the summer of 2018. The winner of the award, Ms Emma Jenkins DipPFS, is an Assistant Financial Planner & Wealth Manager at Cantab Asset Management. She received the award from Sian Fisher, CEO of the Chartered Insurance Institute.